When you see a white lump or some white thing on tonsil, you start worrying. Each individual person starts saying different things.. Some others say “It’s just because of cold”. Listening to all these, you often get confused. 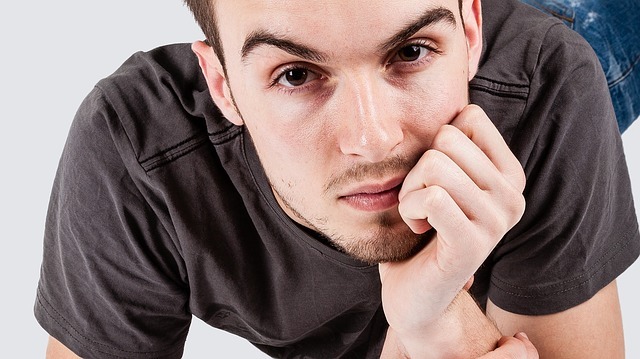 You can’t even stick to one treatment as a result of your unknown problem.Today I’ll give you a complete clarity and smash away all your doubts by this short article. 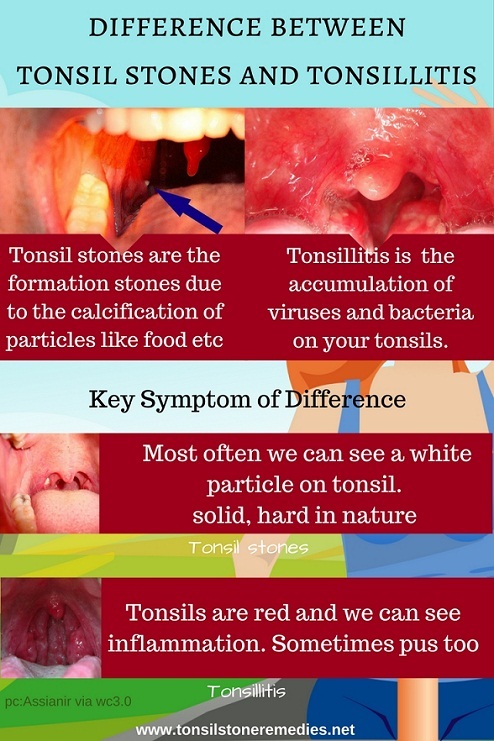 First of all tonsil stones and tonsillitis are two different conditions. Often people get confused among these two as they almost have same symptoms. Tonsillitis is basically the accumulation of viruses and bacteria on your tonsils. The most common virus that causes tonsillitis is the cold virus. Thus the accumulation causes the tonsils to get infected and thus results in inflammation of the tonsils. See Does the white patches confirm Tonsillitis? 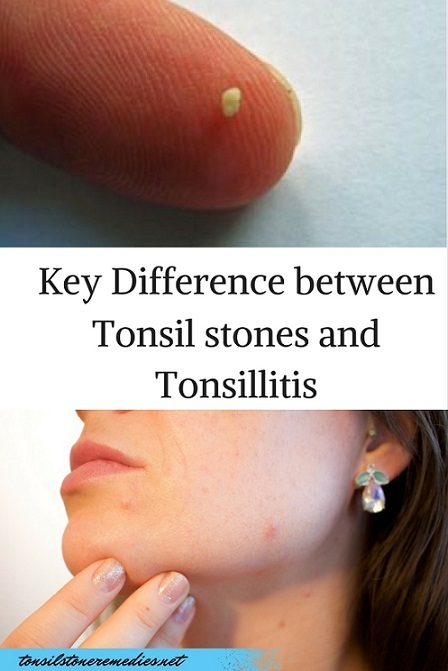 On the other hand, tonsil stones are the formation stones due to the calcification of various particles like food, foreign objects etc. This forms as a solid calcified materiel above the tonsils thus giving bad smell. Answer these questions and by the end, you get a complete understanding of your current tonsils problem. Q1) I can see a white patch/lump on my tonsil? 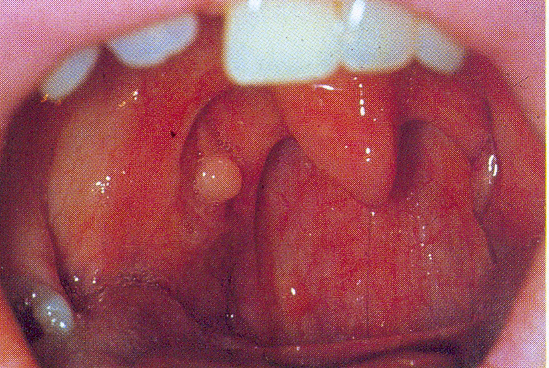 Q2) The white lump on my tonsil is forming pus? Q3) The white particle on my tonsil is solid in nature, hard and moving? Q4) My Tonsils are red and I can see inflammation. Q5) My Tonsils are covered by sticky greenish liquid like substance? Before writing this article, I searched many websites, but couldn’t a perfect content which clearly shows the difference between these two tonsil problems. So I decided to write this article which clears your doubts about two different tonsil problems. So I am now giving a clear way according to your problem, so that you won’t get confused..
How to identify pus on Tonsils – Does the white patches confirm Tonsillitis?